For people interested in buying a house or condo in Puerto Vallarta, a gathering is held in March that will help to answer any question you have. And if they don’t have the answer, they will find it. Puerto Vallarta is a great choice for a second home, or to retire and there is someone for everyone. Price ranges vary diversely and property is for sale from one end of Bay of Banderas to the other. The River Molina Plaza is at the corner of Aquiles Serdan and Ignacio Vallarta, easily accessible in the middle of Old Town is the location of the event. There is no admission and hours are from 9:00 am – 2:00 pm on Saturday, March 4. Experts in several fields will be present to answer questions about everything from medical insurance and services, to schools and education. Medical representatives from the Puerto Vallarta community will be in attendance to explain health insurance, hospital care, and clinics. They will be able to enlighten prospective homebuyers about options in care, doctors, emergency services, costs and amenities. 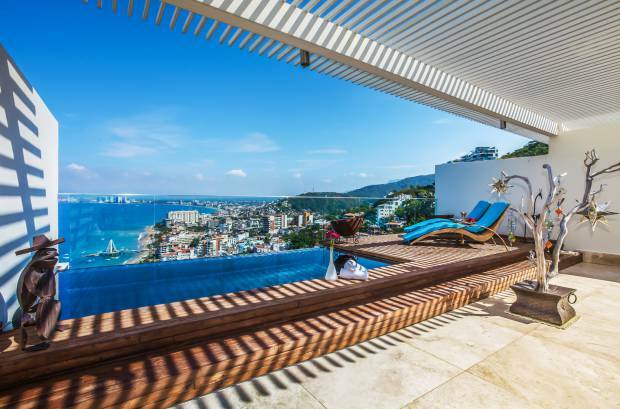 Home ownership is the best way to go when considering living in Puerto Vallarta long term, and there are experts who can help make the process relatively painless. The Real Estate Fair will provide professionals from such areas as mortgage brokers, accountants, lawyers, tax experts, immigration. You’ll be able to make decisions regarding whether to use a property management company, maintenance people and domestic help. The opportunities presented in Puerto Vallarta for transplants is endless. Volunteers are needed for charity work, animal rescue, working with children with physical challenges, as well as tutoring and teaching ESL. You’ll discover there are plus local businesses eager to assist you in every need, be it how to ship in and out of the country; where to find a dog-walker; who sells pickles, sausages, jams, gluten-free bread; where to take Spanish classes and many other inquiries. This event is hosted by Timothy Real Estate Group but welcome to everyone. Thanks to our guest blogger, Adam Garcia.